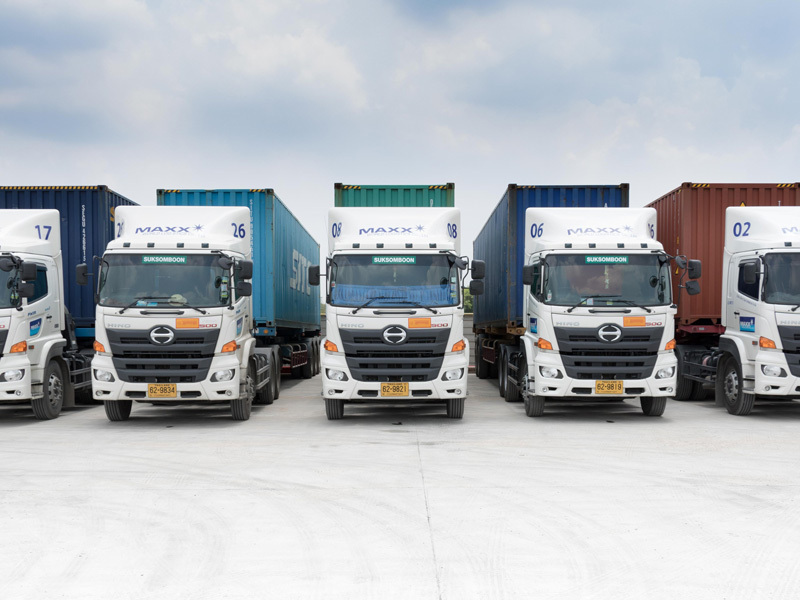 With all our brand new 30 Trucks & 50 chasises together with 100 trucks of our partner in the fleet. Our professional truck drivers can transport all kinds of goods to everywhere in the country, all our trucks are equipped with GPS systems which we can monitor our trucks all the times through internet system and Thus the cargo will be carefully delivered and safe to destination. All trucks in our fleet are brand new trucks high power more than 340 horsepower, together with various chasises covering by smooth canvas including support for transport option available for valuable product with first class insurance covering every situation.